We are very grateful to our growing team of sponsors for their assistance and continued support for the project. To join these sponsors in helping us please use the Donate page. Epicor Software Corporation drives business growth. We provide flexible, industry-specific software that is designed around the precise needs of our manufacturing, distribution, retail and service industry customers. Siebe Gorman. Producers of high quality Self Contained Breathing Apparatus (SCBA) and associated safety equipment. Having over 25 years of experience Newvale Print offers consultancy and print solutions from the smallest budget to the most complicated print problems. Newvale Print has supplied us with exhibition displays for use both inside and outside. Lyon Work & Rescue. The leading provider of training and equipment for work at height and rescue in vertical, steep and difficult-to-access environments. Exclusive distributor of both Petzl equipment and training in the UK and Ireland. Leger Holidays. Providers of battlefield tours around the world. Honours & Awards. Military Medal Restoration and Memorabilia Display Mounting. Spirit of Remembrance. Specialists for Guided and Remembrance Battlefield Tours. BigMat. Timber merchant in Albert, Somme. JCB Finance’s aim is to bring state of the art finance options to the point of sale anywhere in Great Britain for JCB equipment. However, the Company is also able to finance other equipment, providing it is not a new machine that is directly competitive with any of the JCB range. BACTEC. One of the world’s leading EOD, bomb disposal, & landmine clearance specialists. Epic Printing. Based in Dorset, Epic’s range of print options enables in-house flexibility in design, content, personalisation and quantity. Flanders Battlefield Tour. Great War battlefield tours around the western front. Barngates Brewery. Award winning Cumbrian brewers.Creators of William Hackett Ale. 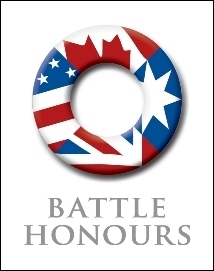 Battle Honours. Battlefield tours around Europe. Salient Tours. Great War battlefield tours around the western front. Sorry, La Bassee is another town, not in the Somme but in the “Pas de Calais”. I have been collecting letter knives for a number of years now. When your program came on the TV about La Boiselle, it rang a bell as a name on one of the knives; this knife is made up of three bullets and a cartridge case with the words La Bassee on the blade. I was wondering if this had anything to do with the subject of your program.